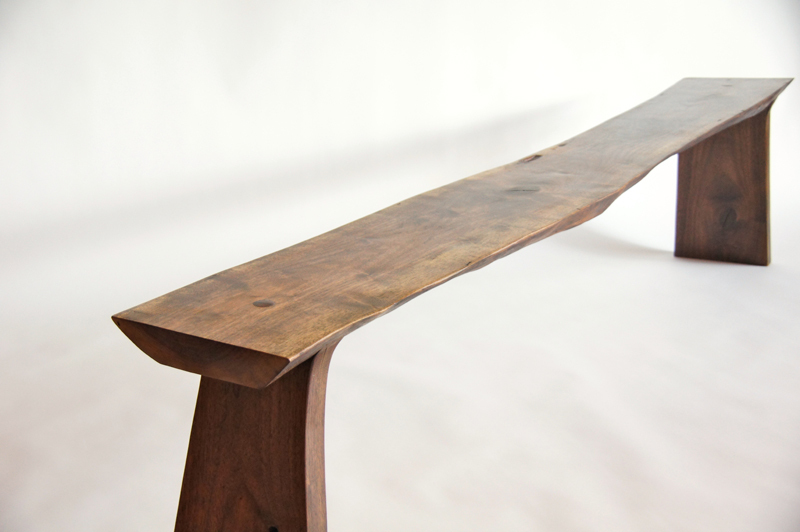 72" x 12" x 18"
This live edge walnut bench is inspired by the lines and colors of Argentinian architecture and furniture. The white linen cushions provide a striking contrast to the dark walnut. This combination of dark and light is clean, and in a way, revitalizing. The angled legs have been hand shaped to fit the contour of the live edge bench top, and are secured by a dadoed joint and a wedged through tenon. 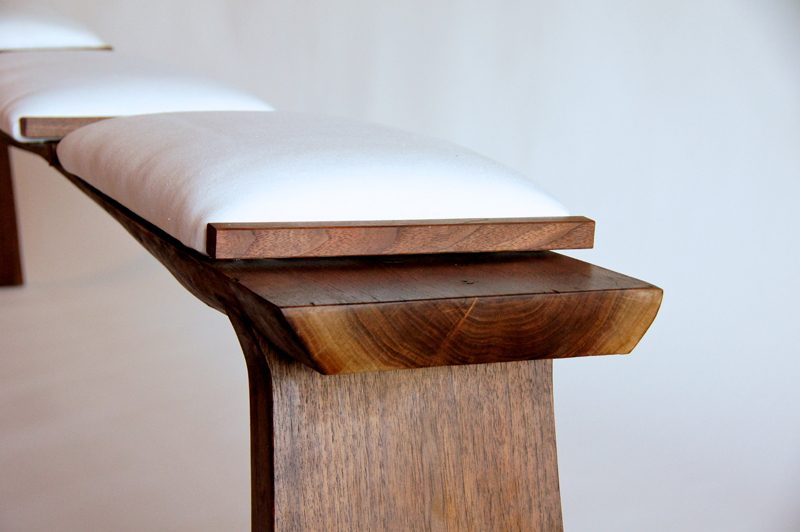 The two inch think bench top looks deceptively light, adding to the subtlety of the piece. 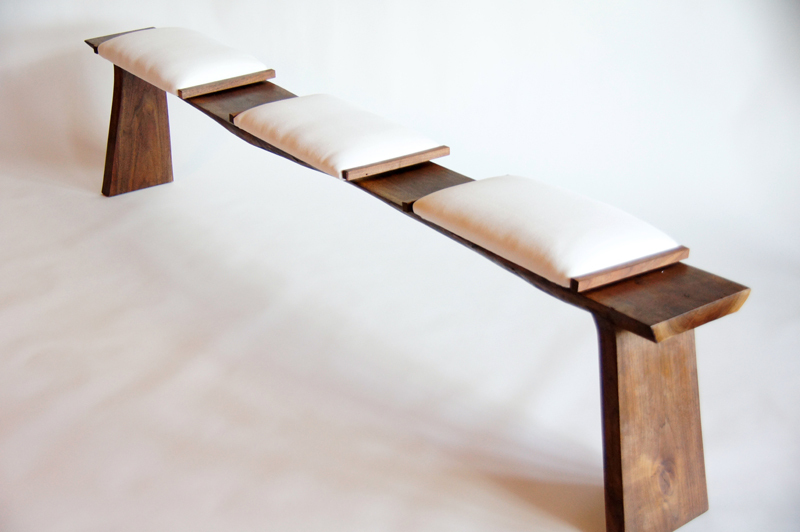 The linen cushions, flanked by strips of walnut, are removable. 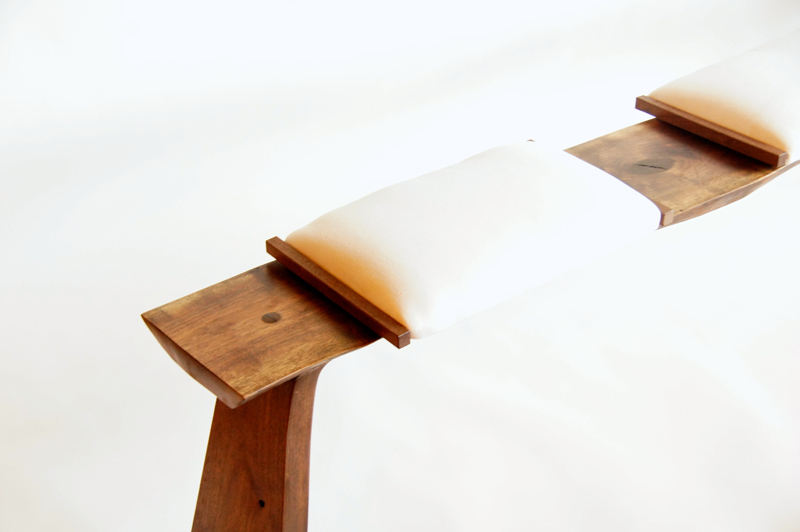 The elegant and sleek rusticity of this bench makes it suitable for most any home.